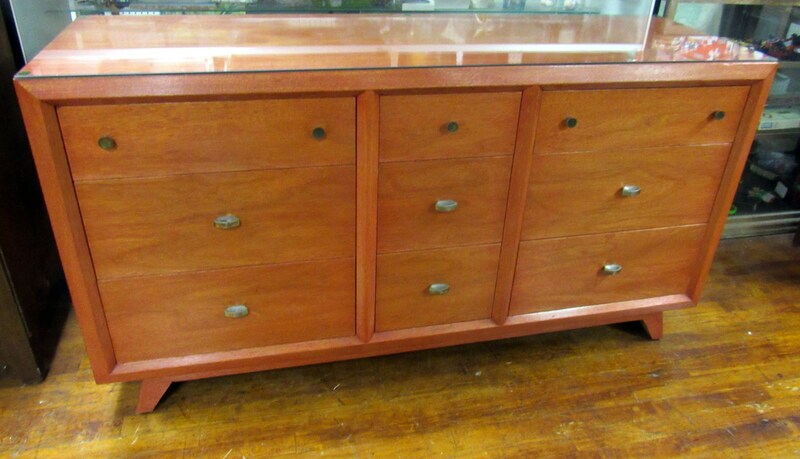 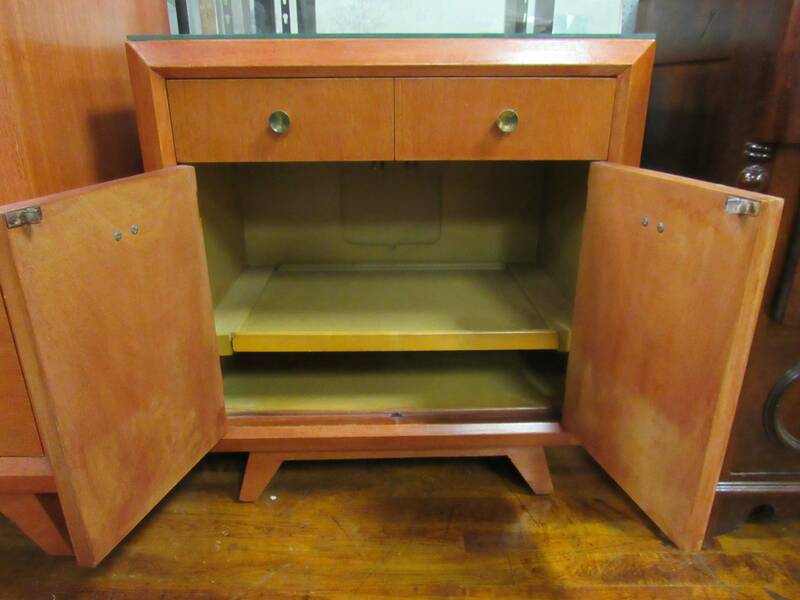 Mid Century Modern mahogany dresser and night stand by J. L. Metz Co. 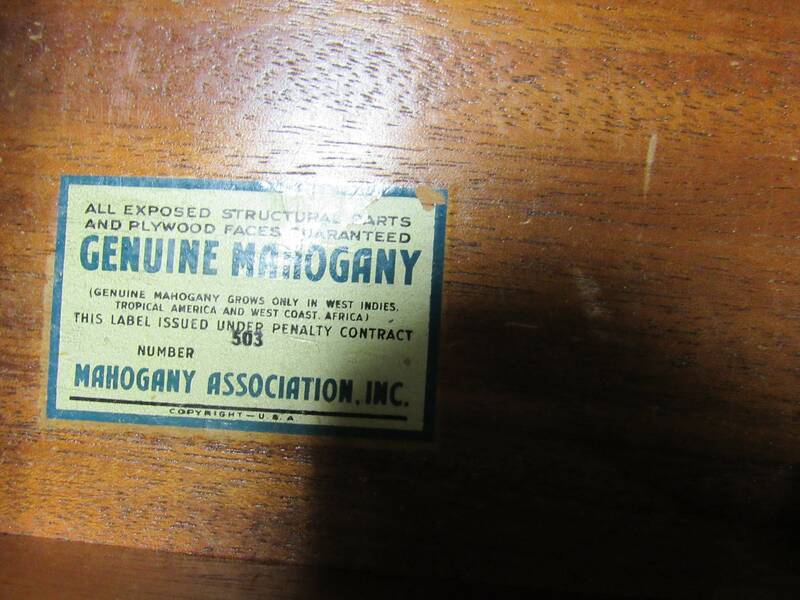 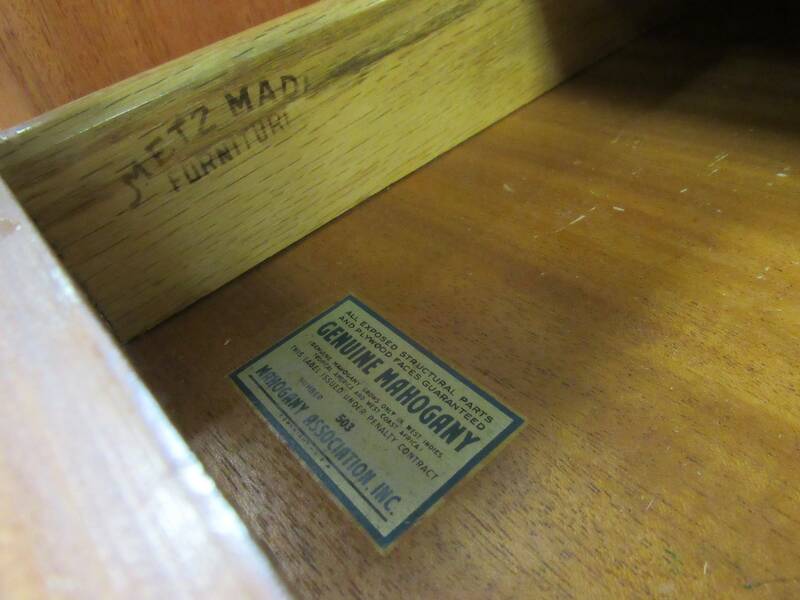 The mahogany has been bleached and stained a pale red. 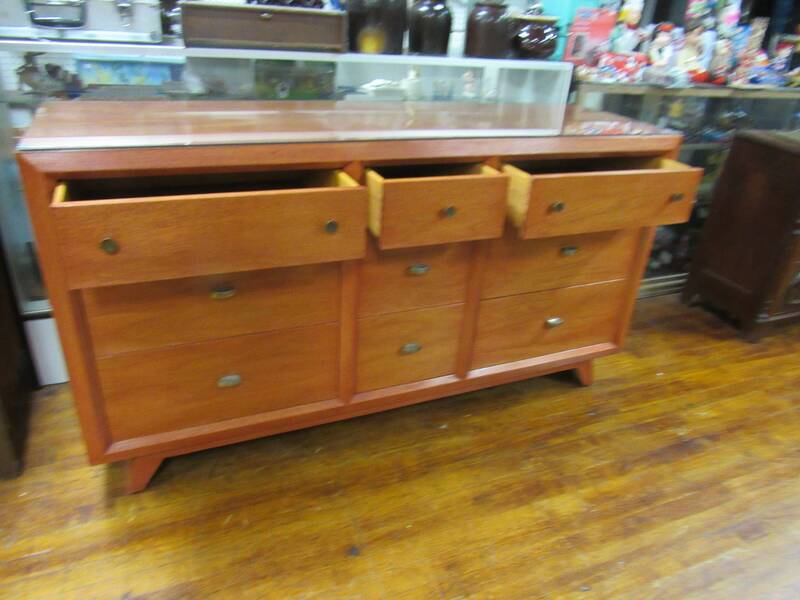 The dresser has nine drawers, dovetailed and slide smoothly with original brass hardware. 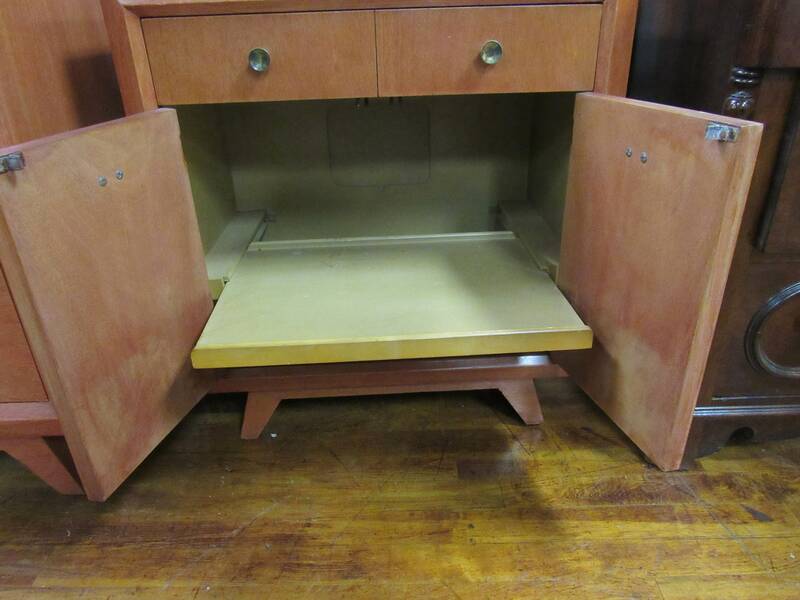 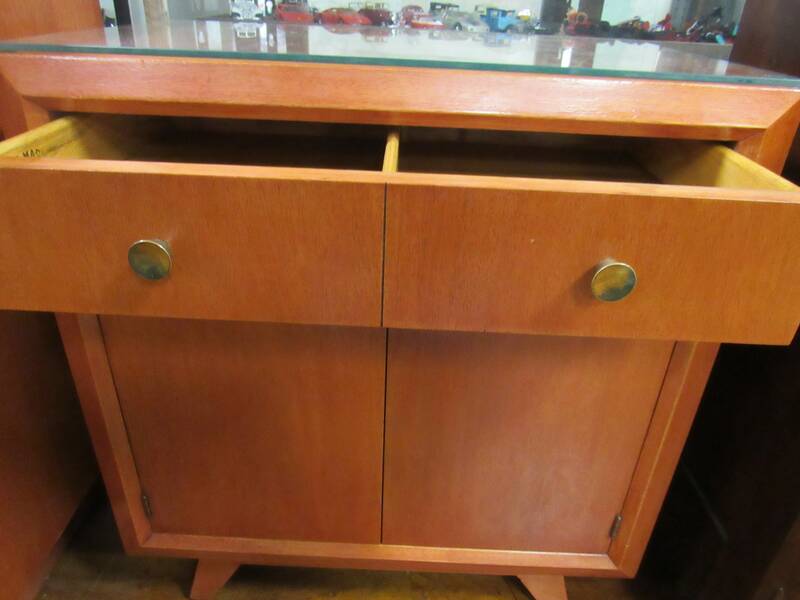 The matching night stand has a drawer and cabinet doors with a wood tray that slides out (or can be removed) There is also a space in the back for a power cord so I'm thinking it was originally for a clock radio or record player. 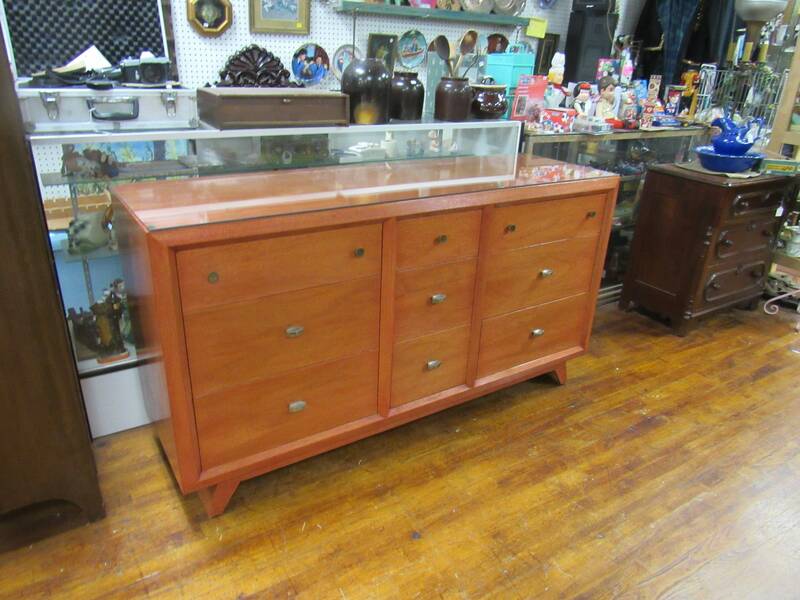 The dresser is 62 x 19 x 33.5" tall, the night stand is 24 x 15 x 27", both in excellent condition. 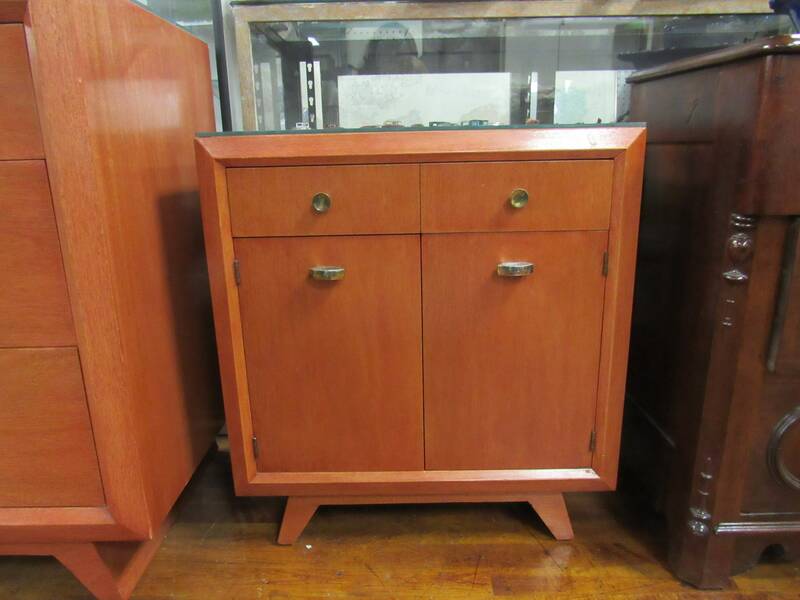 Dresser and night stand have protective glass for the top.